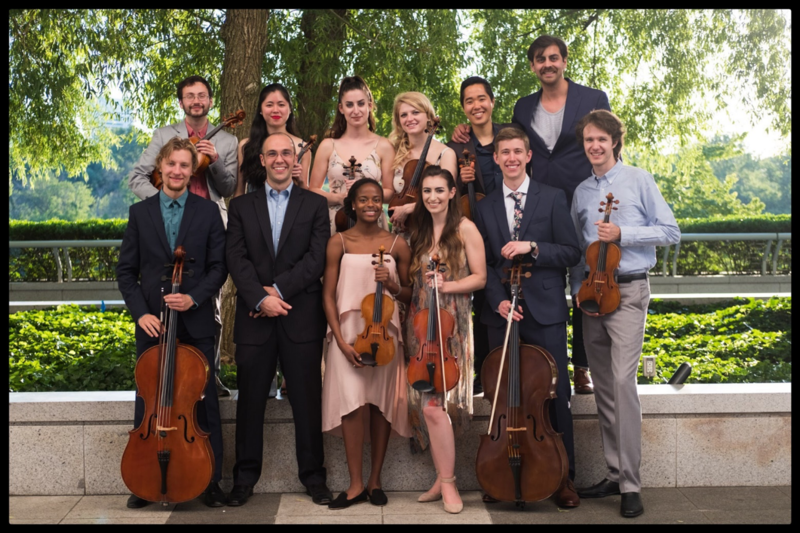 Palaver Strings, a musician-led string orchestra and nonprofit organization, is dedicated to the collaborative interpretation of classical masterworks. We were formally founded in 2014 by young musicians from the Boston area. Since then, the group has performed on Millennium Stage at the John F. Kennedy Center for the Performing Arts, Bay Chamber Concerts series, the Hammond Performing Arts Series, and for Carnegie Hall’s Lullaby Project. Each member of Palaver Strings is passionate about taking classical music beyond the concert hall to engage with new and diverse audiences, and have performed in living rooms, lobbies, warehouses, art galleries, restaurants, and on rooftops. It is in these personal and unconventional settings that Palaver Strings is able to use music to aid the discussion of social issues, promote education and healing, and inspire our peers and community to support the arts.